A curriculum vitae (CV) lists a person’s experience and other qualifications. CV stands for curriculum vitae. A curriculum vitae is essentially an overview of a person’s experience and other qualifications. In some cases, a CV is the first glimpse the employer gets of the applicant. A CV is usually no more than 2 pages long, often printed side by side on a single sheet of paper. 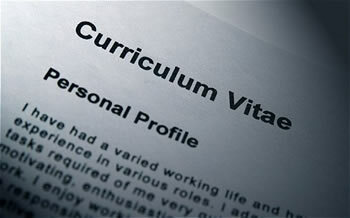 A CV generally should include personal data, such as name, address, phone number, and e-mail address, as well as a career objective, a summary of skills and professional expertise, list of institutions attended, degrees earned, internships, participation in programs, volunteer experience, work experience, list of publications, languages spoken, interests, hobbies, travels, soft skills, like computer skills, and references. CVs have often been compared with resumes. However, while resumes are a summary of a candidate’s work and educational history, a CV is generally longer. It is a detailed and concise summary of the candidate’s educational and professional backgrounds. Furthermore, while a resume can be modified and altered according to the position that the candidate is applying for, a CV usually is not, as it already contains all of the person’s history, not just the parts that are applicable for that particular position. Also, resumes are often accompanied by cover letters, which show more about the person than just their history. CVs, on the other hand, are usually not attached with a cover letter, even though they can be. It is just a fairly detailed overview of the person’s life accomplishments, especially the more academic in nature. In Europe, the Middle East, Africa, or Asia, a CV is often the first interaction that the employer has with the applicant, whereas in the United States, it is primarily used when applying for academic, education, scientific or research positions.